Innovative as ever, the Disney Dream sets sail with 4-night Bahamian cruises starting at just $3,500 for a family of four. Wow! Eight decades have passed since Steamboat Willie chugged out onto the screen and into the hearts of Americans everywhere. Throughout the years, the evolved Disney icon has commanded the most impressive vessels with unsurpassable superiority no other cruise ship could match… until now. The 128,000-ton, 4,000-passenger Disney Dream departs from Port Canaveral, Florida and offers three-, four- and five-night Bahamian itineraries as well as endless on-board activities for the entire family. Arguably the most impressive features of Disney’s new cruise line are the on-deck attractions, some never seen before at sea. One of the first is Aquaduck, plans of which had been laid out since 2007. This rollercoaster-waterslide named after Donald Duck spans over 765 feet in length, cantilevers 150 feet above sea level, and carries up to 369 guests per hour. Thrill-seekers wind through a network of giant clear acrylic tubes — in some places open to the sky with a retractable roof — on a two-person raft. The first thrill is plunging from Deck 16, then accelerating up and downhill, propelled by gushing water. The raft goes forward at a surging speed of about 20 feet per second and even flies over the ocean — at one point 13 feet away from the ship’s edge. In drier parts of the ship, there are a plethora of activities designed for specific ages. 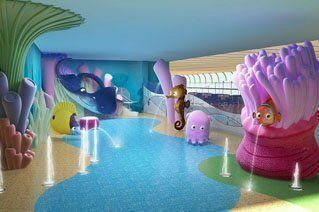 At the Oceaneer’s Club, 3-to-10-year-old children can shrink down to the size of a toy and join in on the fun with Mr. Potato Head and the rest of the gang. One of the more clever innovations added to the Oceaneer’s Club is the 103-inch plasma screen on which totally cool “Finding Nemo” turtle, Crush, interacts with kids in live, improvised conversations. He’s quite the clever conversationalist, so be on your toes if he should happen to call you out. In addition to the Oceaneer Club, the Oceaneer Lab attendants become navigators of the sea and can delve into any of the numerous activities available. There are learning modules on how to sketch their favorite Disney character, computer animation, and song-composing and recording in the Sound Studio. Beware of a four-armed blue alien who may interrupt your activity and cause some all-in-good-fun pandemonium. Recently added in 2010 were Nemo’s Reef and Goofy’s Sports Deck, two play areas where kids can interact with even more Disney characters and while the day away with fun activities. In the glass-enclosed Nemo’s Reef play area, they can slide down stingray-shaped slides and enjoy other underwater-themed features. Goofy’s Sports Deck has an interactive nine-hole mini golf course; digital simulators for playing soccer, tennis, basketball and golf; and a walking track circling the play area. For tweens, ages 11 to 13, the lounge/pad Edge provides a funky-retro type atmosphere with hi-tech entertainment including notebook computers for games and social networking, a lighted dance floor, and an area for creating and starring in photo postcards and video karaoke using green-screen technology. Using a “teen-only” swipe card to access the 9,000-square-foot indoor/outdoor lounge called Vibe provides guests ages 14 to 17 a similar trendy area full of hi-tech media including video games, Wi-Fi enabled laptops and a private outdoor area with two wading pools, ping pong and foosball tables and chaise lounges for sunbathing. 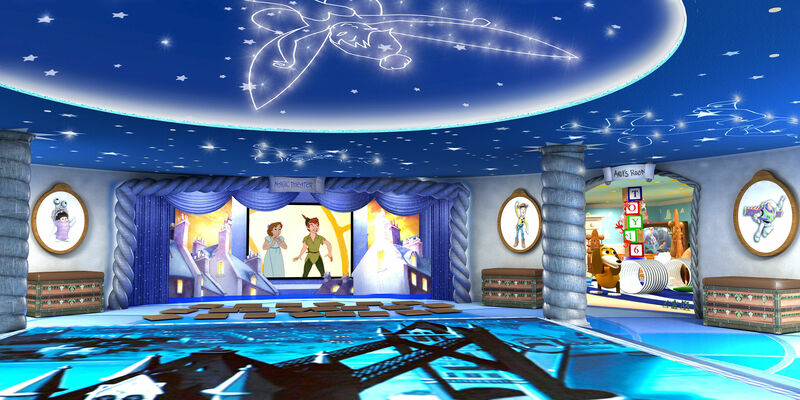 Forty percent larger than those on the Disney Wonder and Magic, the Dream’s It’s A Small World Nursery provides counselors to watch over infants and toddlers ages 3-months to 3-years in a space designed as a hands-on, interactive environment for curious young minds. The nursery is open from 7am to midnight and sometimes until 1am, depending on the ship’s itinerary. There’s a different kind of playground on the cruise ship for the adult crowd, giving moms and dads the chance to steal away and enjoy themselves and leave the kids in the capable hands of the crew. 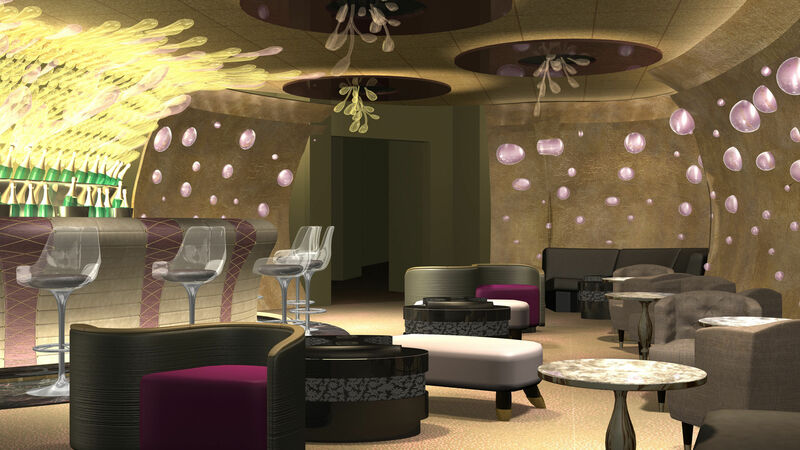 The chic and sophisticated types will love the ship’s upscale cocktail bars, such as the Pink cocktail lounge, the District Lounge and the Skyline bar, where virtual windows display stunning skylines of cities around the world. For more casual settings, guests can dance the night away at the nightclub, Evolution, or grab their favorite beer at the Metro Pub. For a more quiet and tranquil escape, the Senses Spa & Salon allows guests to unwind with everything from facials to cleansing rainforest hydrotherapy to whirlpool hot tubs, all including an ocean-view location. Also on the adults-only deck, the Quiet Cove Pool is the perfect area for sunbathing and relaxation. 1st Question, is it Better Food than Most Cruises? 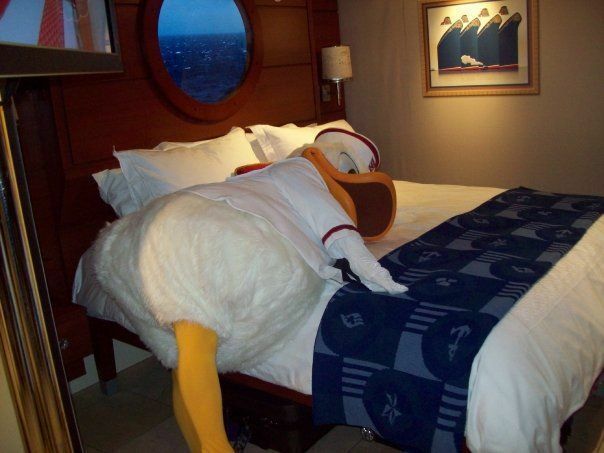 If you’re stressed, it’s fine dining we suggest on your luxurious Disney cruise. One of the most unique services offered on Disney ships and on the Disney Dream is the rotation of dinner restaurants. While a different venue will be offered each night, the servers accompany the family they began with, thus making for a more enjoyable and personalized dining experience. 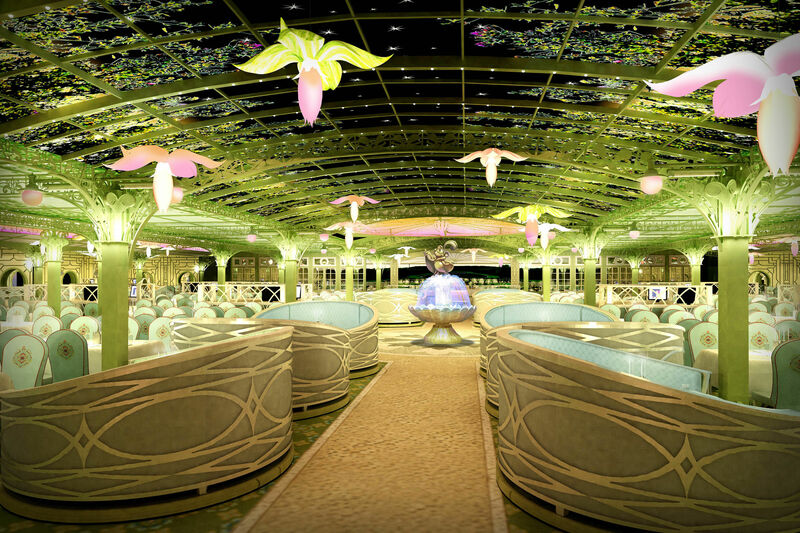 The Enchanted Garden has possibly one of the most fascinating facets of all the restaurants combined, featuring glass flower light fixtures, whose petals literally bloom from day to night. Just as unique, the Versailles-inspired dining area transforms at dinnertime into an enchanting evening scene with twinkling stars overhead. Breakfast and lunch are served buffet-style under a daytime sky, while dinner is a full-service formal affair. Similarly lavish in surroundings, the Royal Palace restaurant displays dÃ©cor inspired by such classic and beloved Disney films as “Beauty and the Beast” and “Cinderella.” The menu certainly becomes the restaurant’s title with its meals fit for royalty, including world-class continental cuisine like beef Wellington, crowned rack of lamb and king salmon. All three meals throughout the day will be available at this formal-style restaurant. Last on the list of fine dining – but certainly not the least – is the Animator’s Palate, filled with character sketches, popular Disney and Pixar film scenes and other animation trade-oriented designs adorning the dining room walls. Offering both indoor and outdoor dining with ocean views, the more casual dining at Cabanas food court provides guests with an eclectic array of cuisine served from 16 specialized food stations, including sushi delicacies, pizzas, pastas stir-fry and more. For dinner, the area offers full-service dining, where dinner entrees are cooked to order. Flo’s CafÃ©, designed with popular characters from the Pixar film, “Cars,” offers a quick meal for hungry guests with options including burgers, chicken tenders, salads and sandwich wraps. For the sweet tooth, Eye Scream and Frozone Treats offer soft-serve ice cream loaded with plenty of sundae topping options. Kids will love these Monsters, Inc.- and The Incredibles-themed venues. Solely for adults, the cruise line’s signature specialty restaurant, Palo, gives couples a chance to spend a romantic evening together overlooking the vast expanse of the ocean after dark. A $22 surcharge is required for each adult. Knowing how luxurious the rest of the ship is, it would seem no surprise that each accommodation on board would fit the same description. While this is certainly true, the Disney Dream has expanded its creativity in this area, making each room more than just a place to sleep at night. In most of the 1,250 staterooms, virtual portholes display a real-time view outside the ship, corresponding to port or starboard stateroom location, that is captured by hi-def video cameras mounted on the decks. From time to time, animated Disney characters may pass by the window to say hello, including Peach the starfish from”Finding Nemo” and even Mickey Mouse himself. We’ll never let on how this effect is done! Upon careful consideration, the cruise line has also added elevated bed frames to provide more room underneath for suitcases and other items. Also, nearly every stateroom includes one full bathroom as well as a “half bathroom” without a shower, designed so that no one has to wait for their teenage daughter to finally be done with her lengthy shower. Or any other scenario one can think of, of course. While rooms include the usual amenities such as a mini-refrigerator and toiletries, an iPod docking station is also available, something the kids in particular may appreciate. Also keeping the larger family in mind, the Dream includes 500 connecting doors adjoining rooms as well as 21 spacious suites with slightly fancier and lavish amenities. Dress codes, weather forecasts and finances aren’t fun things to think about before a relaxing getaway, but being prepared will make everything sail a lot smoother. Be sure to check out FTF’s article on Cruise Tips as well as our article on Cruises With Kids. To learn more about the Disney Dream or book your family vacation, get in touch with a travel agent, visit the Disney Cruise Line website or call at 800/951-3532. Be sure to ask about Disney’s Kids Sail Free special, available during select times and on specific ships, as well as their online booking discount. 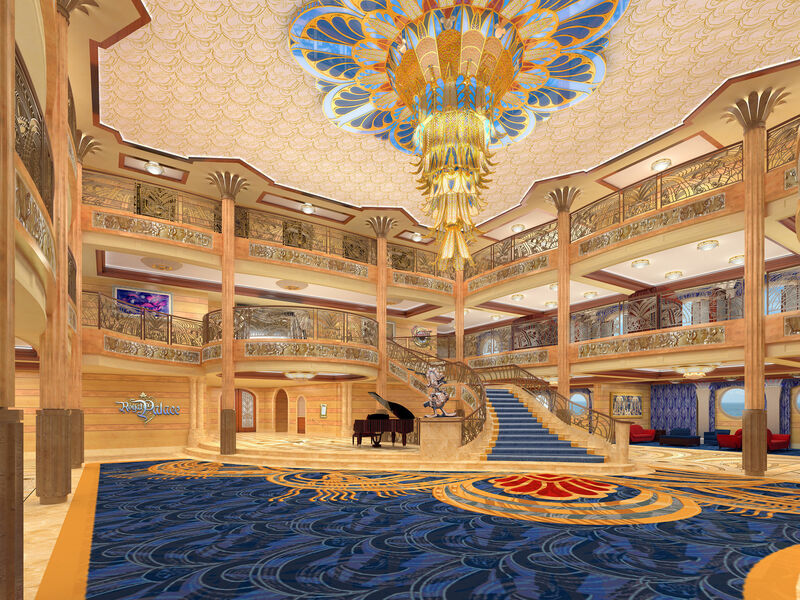 Also, keep on the lookout for Disney Cruise Line’s new vessel, the Disney Fantasy, which makes its debut in 2012. How did it fare? We are looking at going on a Disney Cruise next summer.